Argan oil is very popular in cosmetic formulations as well as in hair care. Argan oil is excellent for helping hair combat breakage. The high vitamin E content also smoothens and hydrates and helps hair guard against split ends. 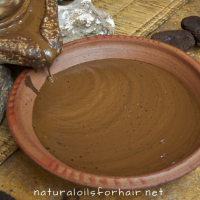 I have covered argan oil for hair and beauty purposes extensively in the past. However, this is the first time I’m touching on argan oil for cooking purposes. I’ll be covering the differences between cosmetic and culinary argan oil, benefits of culinary argan oil and the best culinary argan oil brands. Argan oil is produced from the green nut of a tree native to Morocco. This tree is only found in the south-western part of the country and is protected by UNESCO. 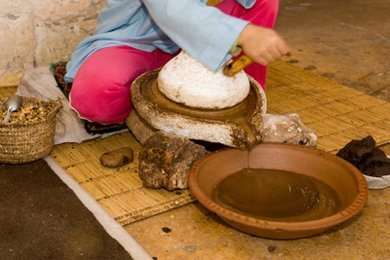 It’s the main source of income for the Berber people who live in the region and is made exclusively by the women. The argan fruit is first dried in open air, then the fleshy pulp is removed to reveal the nut. The nut is cracked to obtain the kernels. This process is carried out manually and is quite a labour intensive and time-consuming process. Afterward, the kernels are ground and pressed to extract the oil. 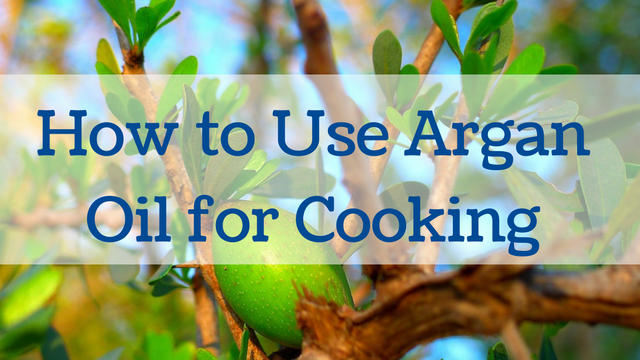 What’s the Difference Between Cosmetic Argan Oil & Culinary Argan Oil? When the kernels extracted from the nuts are ground and pressed to extract the unfiltered oil, we have the oil that’s used for beauty and cosmetics purposes. This oil is a bright yellow. For culinary purposes, however, the kernels are lightly roasted before grinding and pressing. The result is a rich golden brown, creamy and nutty flavoured edible oil. The toasting process makes the oil unsuitable for cosmetic use but it’s perfect for cooking. 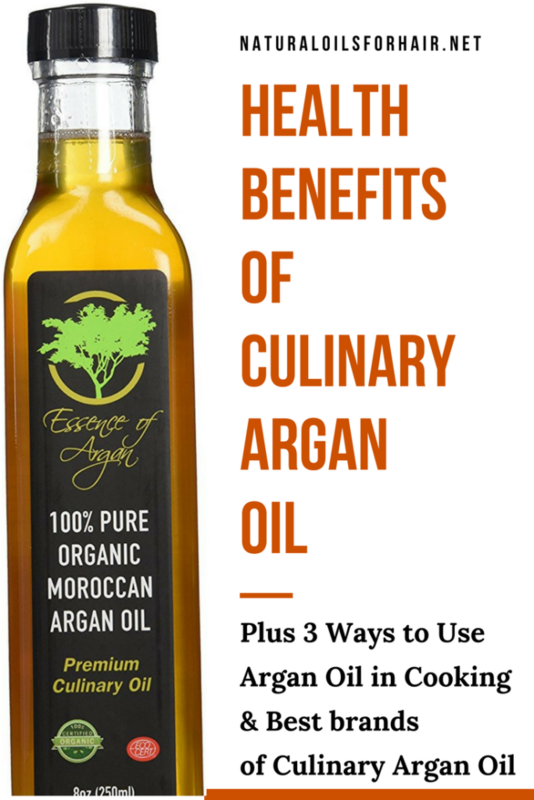 What Are the Health Benefits of Culinary Argan Oil? Lowering bad cholesterol levels and improving overall heart health. Eliminating free radicals in the body. Improving the quality of new hair and nail growth. It adds a distinct flavour to dishes and is a great accompaniment to salad dressings, sauces, and soups. Use it as a dipping for bread. Blend with honey and almonds for a great spread. This dish is very popular in Morocco and is known as Amlou. Almonds are roasted and ground finely, then the argan oil is slowly stirred into it and finished off with honey and salt. 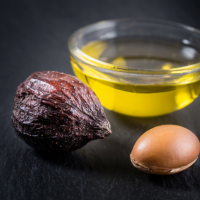 Though culinary argan oil is suitable for cooking, it’s not a good idea to use it for high-temperature cooking and frying. Olive oil remains the best oil to use for this. However, you can use it for sautéing, pan searing meat and other low to medium heat applications. To get the best benefits though, use it in dishes that don’t involve heat applications. 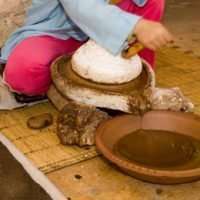 For culinary purposes, Essence of Argan Argan Oil and Dip & Scoop Culinary Argan Oil. For cosmetic purposes, Elm & Sana Argan Oil, Molivera Organics Argan Oil and pura d’or Argan Oil. Always purchase fair trade, ethically sourced argan oil. 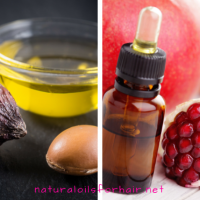 Learn more about the verstility of argan oil for hair care and beauty needs.